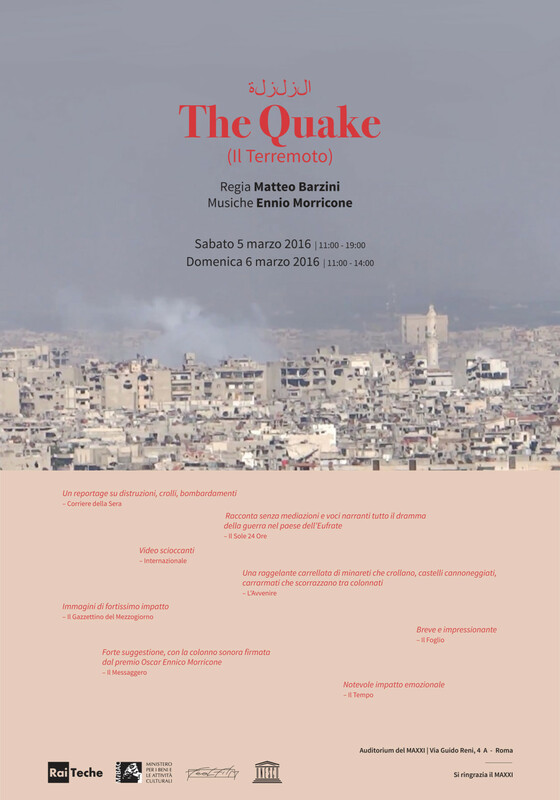 Our documentary “The Quake” (اﺍلﻝزﺯلﻝزﺯلﻝةﺓ), directed by Matteo Barzini with original soundtrack by Maestro Ennio Morricone will be part of the course Modern Culture and Media held at Brown University in Providence, Rhode Island, taught by British-Indian writer Rana Dasgupta, considered by the Daily Telegraph as one of the best under 40 British novelists. The documentary will be part of a cycle of films including Children of Men by Alfonso Cuarón, Leviathan by Andrej Petrovič Zvjagincev, The Act of Killing by Joshua Oppenheimer and other 5 films. These titles will enter the MCM archive at Brown.